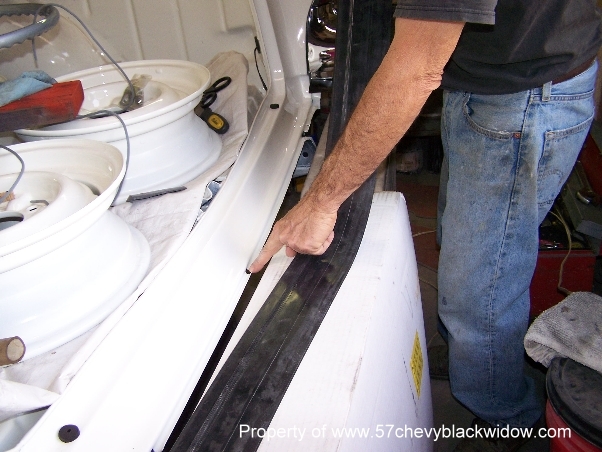 When installing the new weather stripping don't fasten and glue it until checking the pin location. 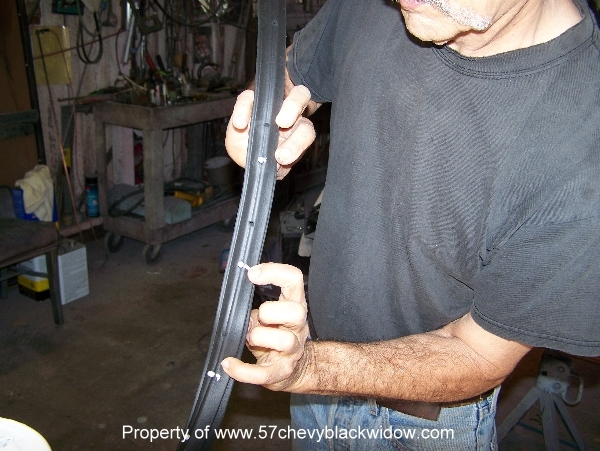 You may have to relocate the holes in the rubber in order to fit properly, photo #546. 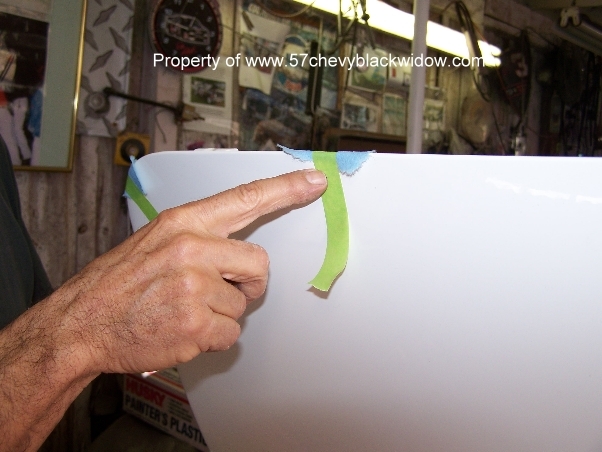 In photo #549 & #550, "Old Guy Scott" reminds you to put a piece of paper towel on weather stripping and paint edge, then tape down the rubber only where necessary. 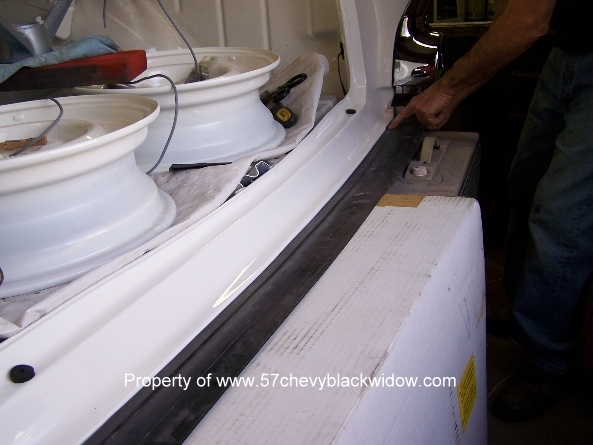 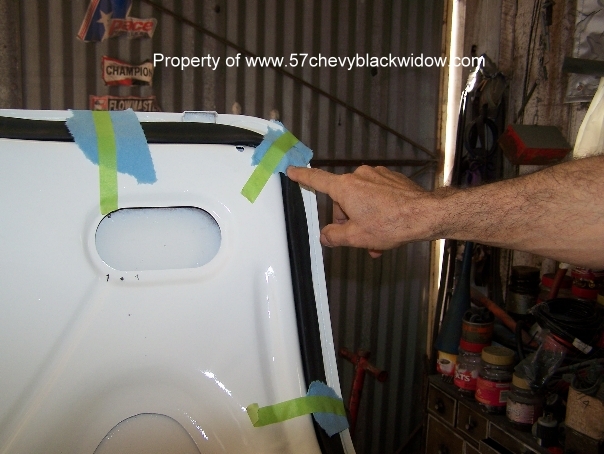 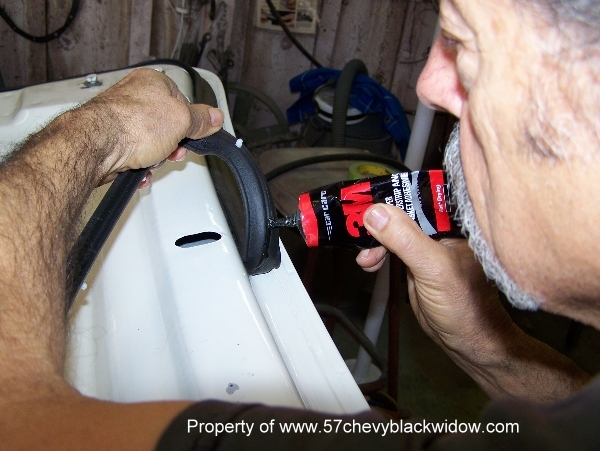 Now is a good time to glue down the flap that tucks under the rear bumper, photo # 551 & #552.